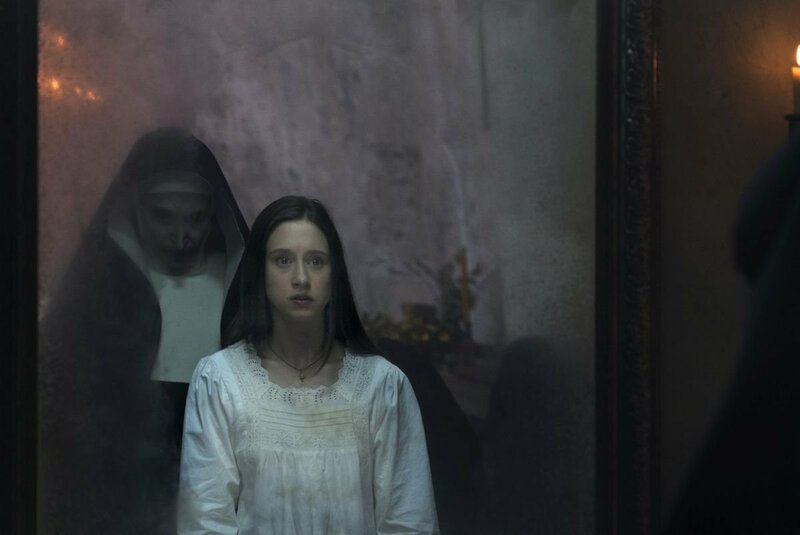 When ComingSoon.net attended The Nun junket in Mexico City we got to delve into what is sure to be one of the most talked about theories from the movie and how it relates to the wider Conjuring Universe. 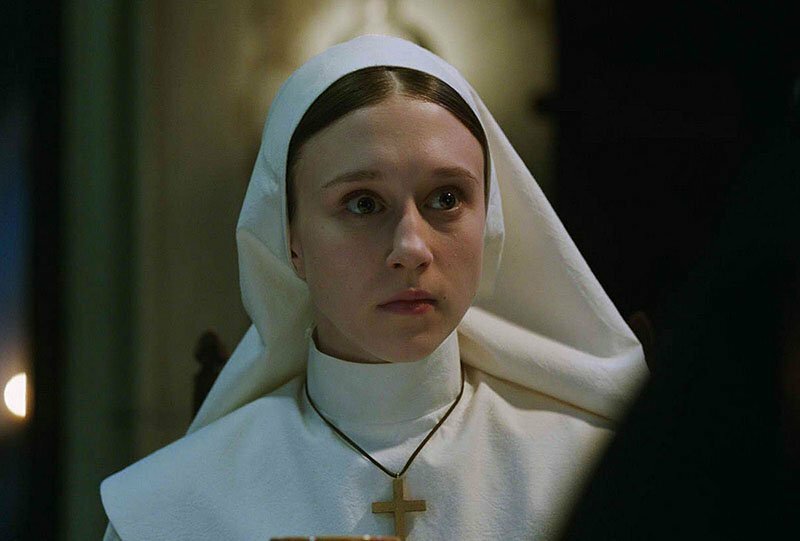 In the film Taissa Farmiga plays a character named Sister Irene, a young novitiate (nun-in-training), but we wanted to ask her if her character shares a connection with Lorraine Warren, played by her real-life older sister Vera Farmiga. The answer may surprise you! SPOILERS BEWARE! The connection between Irene and Lorraine goes beyond the mere fact that the two actresses are siblings. Over the course of the film it is revealed that Sister Irene has a psychic gift to connect to the supernatural very similar to the gift Lorraine possesses, which she refers to as “visions.” Like Lorraine she is a devout Catholic. The film also portrays Irene as being in her late-teens/early twenties in 1952, which would make her around Lorraine’s age in the 1971-set The Conjuring. The Nun actually ends with the seminar from the first Conjuring in which footage is shown of The Warrens exorcising a farmer, who is revealed to be the character of Maurice “Frenchie” Theriault (Jonas Bloquet) from The Nun! Is Irene actually Lorraine? Is Irene Lorraine’s sister? Her long-lost twin? What was Lorraine’s connection to Frenchie? Hardy also said that between him and the Conjuring Universe braintrust a lot of thought was put into how The Nun connected to the other films in the mythology. Do you think there is a connection between Sister Irene and Lorraine Warren? Let us know why or why not in the comments below! RELATED: Watch ComingSoon’s The Nun Experience in Mexico City! The Nun is now playing in theaters everywhere! The post Exclusive: The Nun’s Taissa Farmiga on Sister Irene’s Conjuring Connection appeared first on ComingSoon.net.